This selection of processors includes both a stand-alone level controller and systems which work in conjunction with a remote control or computer to help to remain compliant with the latest revisions of broadcast standards. TC Electronic have long been working towards achieving the best standard in loudness control for broadcast stations and post production, especially when loudness legislation is constantly changing - none more so than in broadcast television. This is a loudness management system that requires an optional TC Icon mkII remote or connection to a PC/Mac running TC Icon software. It is designed for mono and stereo audio signals in outside broadcast vans and or live production and transmission environments. It uses software which may be updated, to ensure it is broadcast-standards compliant and future-proofed. The Loudness Pilot is equipped with one or more (see below options) signal-processing cards, with each card having four engines - two to run the ALC2 loudness correction algorithms, allowing the processing of two separate audio streams, and two to run the optional LM2 meters. Alternatively two engines can be used to process the same audio or mono signal for delivery to HDTV and another to mobile application. The ALC2 algorithm provides several parameters for control of loudness levels, these comply with EBU R128, ATSC A/85 and TR-B32 and ITU-R BS 1770-3. It monitors loudness using LUFS or LU. A correction parameter allows a target loudness level to be set. For example, if the correction is set to 40 percent and the loudness is 6dB away from the target, the processor will apply a correction of 2.4dB. A strident reduction parameter is an adaptive loudness control which only affects a signal above the target level. A limiter page utilises true peak detection where the signal is up-sampled so that even inter-sample peaks are detected. In addition a profile parameter can be set to tailor the limiter based on the content, the settings available are dynamic, AC3, universal, loud and voice. 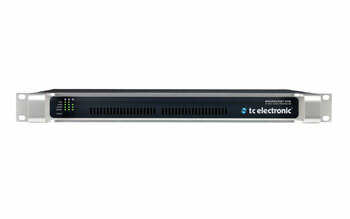 The front-facing side of the 1U rack-mounting unit provides no controls for operation, only a reset button. LED indication lights are provided for visual status reference of the two PSU inputs, 'SYNC' - which provides indication if synchronisation has been achieved to the currently connected signal source; 'ALERT' - which provides indication of problems with the unit or the signal being processed and 'SIGNAL' - which indicates if audio streams are received and processed. The Loudness Pilot is available in five configurations, each including 1x Broadcast One unit running Loudness Pilot software, 2x power cables and 1x USB stick containing TC Icon software, Loudness Pilot software and PDF manual. Loudness Pilot models now also include an aNorm plug-in licence (87-0129). 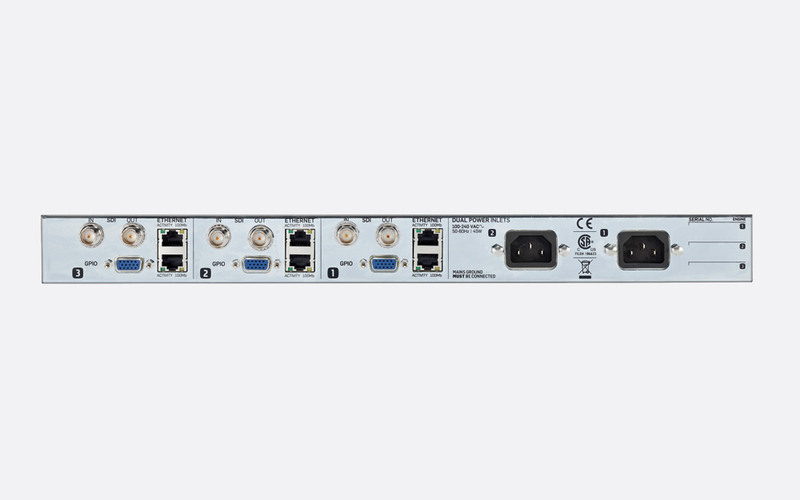 87-0121 One SDI dual-processing card with BNC I/O, 2x Ethernet ports, GPIO and 2x power inputs. 87-0122 Two SDI dual-processing cards with BNC I/O, 4x Ethernet ports, GPIO and 2x power inputs. 87-0123 Three SDI dual-processing cards with BNC I/O, 6x Ethernet ports, GPIO and 2x power inputs. 87-0124 16-channel AES-3id I/O with unbalanced BNC connectors, 2x Ethernet ports, GPIO and 2x power inputs. Note: Both AES versions (87-0124 and 87-0125) have the capability to handle 16-channels. However only the first eight channels are activated as standard. 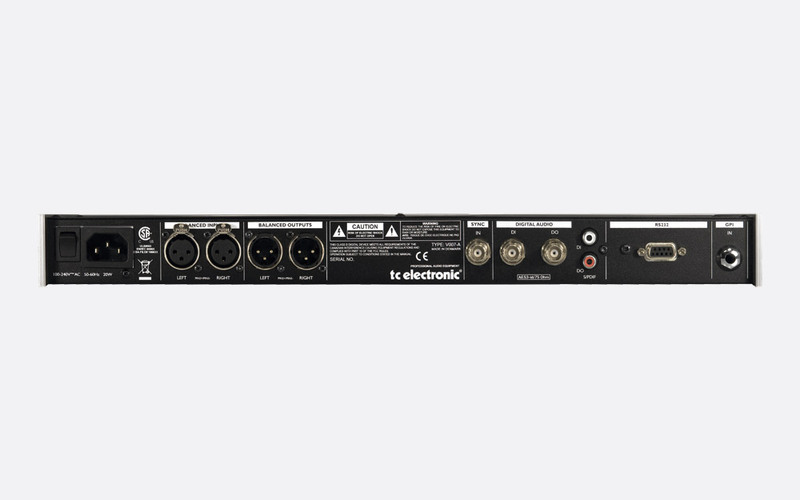 A licence, 87-0128 can be purchased as an option to activate the additional eight channels and complete the 16-channel capability. 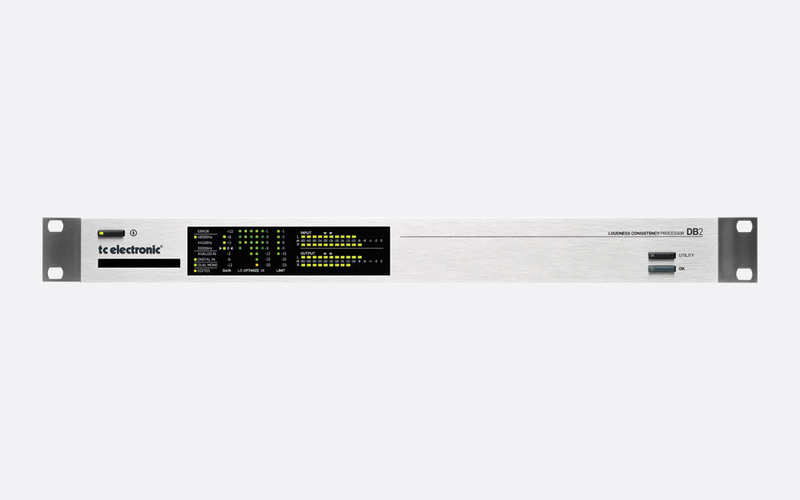 Much like the Loudness Pilot, the DB2 has been designed for loudness management in broadcast environments and is compliant with broadcast standards including EBU R128, ITU BS 1770 and ATSC A/85. The DB2 loudness correction processor caters for signals from Pod-cast to high definition television and from mono audio to 5.1 surround sources. Once the required connection has been made to a computer running the TC Icon Editor software, via the RS232 connection, the user can access a host of 48-bit resolution tools including 5-band level optimisation, online delay adjustment, adaptive limiting, emphasis compensation, filtering and EQ, and stereo width adjustment. The front panel has an electronic power switch, utility selection button and 'OK' confirmation button as well as a host of status-indication LEDs including 'Error', input type, 'Edited' - which indicates a preset has been adjusted without saving; optimisation meter, limit meter, and 15-stage I/O meters. 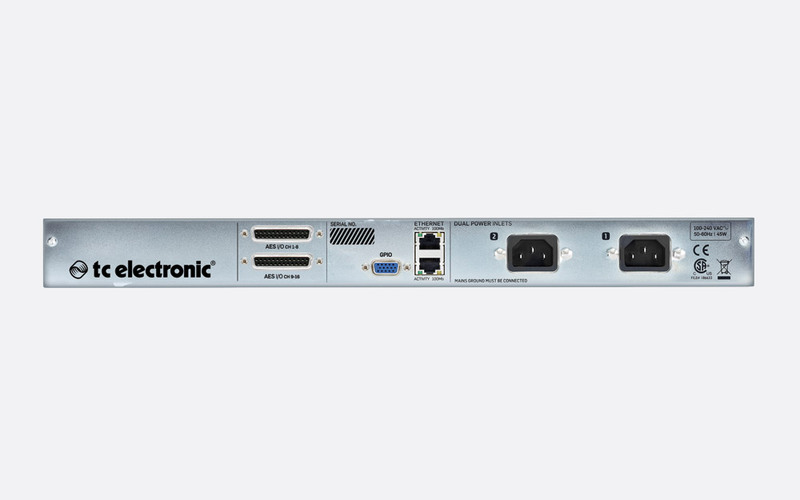 The rear panel hosts all digital and analogue I/O connections as well as the RS232 port, GPI and AC mains power IEC inlet with switch. Analogue inputs: 2x balanced, 3-pin, female XLR, 20k ohms. Analogue outputs: 2x balanced, 3-pin, male XLR, 40 ohms. Digital inputs and outputs: 75ohm BNC, AES/EBU; RCA (phono), S/PDIF. Word clock input: BNC, 75 ohms. Sample Rates: 32kHz, 44.1kHz, 48kHz. Power source: 100-240V AC, 20W. Dimensions: 483 x 44 x 208 (w x h x d) mm. Weight: 2.35kg. 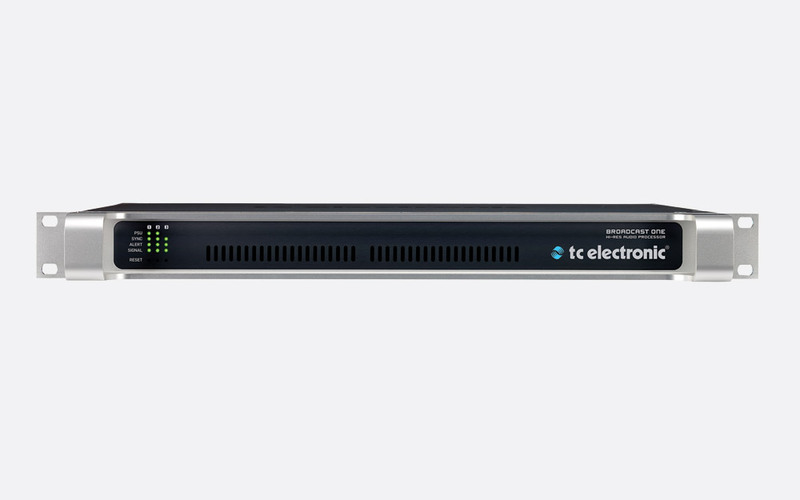 TC Electronic P2 is a stand-alone processor that has been designed as a 'set and forget' limiter for broadcast, post production and fixed installations where loudness and spectral balance consistency is required. The front panel has an LED indication section and a navigation panel which has eight preset buttons and a 'wizard' function, which can be accessed by any user if the unit is in an unlocked state - signified by a dimmed 'Lock' button with LED. An administrator can program and assign preset algorithms by connecting the P2, via the RS232 port, to a computer running TC Icon Editor software. Editable functions include input setup (dual mono/stereo/wide stereo), automatic loudness control (ALC), live delay up to 1000ms, 5-band compression, brick-wall limiting and sample-rate conversion on/off. Once the preset has been mastered, it can be stored and assigned to one of the eight preset buttons for any user to access. Any user-presets can also be stored to an inserted PCMCIA 2.0 card of up to 2MB. The LED indication section allows quick visual access to the same range of status updates as that of the DB2 indication panel, see above.